Nitrogen-containing heterocycles, such as pyridines and diazines, are some of the most widespread components of pharmaceutical compounds as well as being present in agrochemicals, materials and ligands for metal complexes. We are developing a strategy to functionalize these heterocycles by converting them into phosphonium salts that serve a coupling handles for subsequent C–C, C–O, C–N and C–Hal bond-forming reactions. This chemistry can also be applied for late-stage functionalization where pharmaceutical compounds can be rapidly converted into more potent and selective analogues. Their relative ease in purification and the use of inexpensive materials make phosphonium salts an increasingly attractive class of molecules in synthesis. Isotopically labeled compounds have unique properties and are used pervasively in medicinal chemistry. We are developing new chemical reactions that incorporate isotopes into molecules of biological interest. 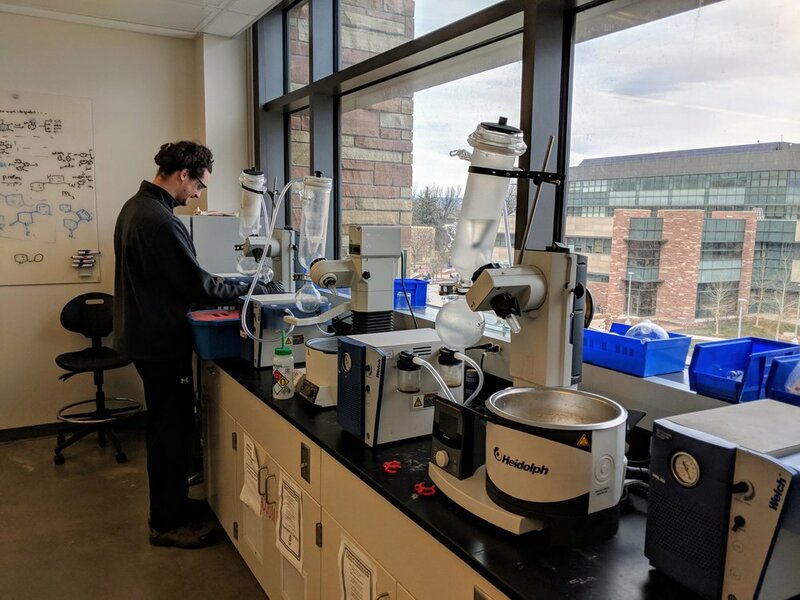 In particular, the hydrogen isotopes deuterium and tritium have a number of specific applications including as radiotracers for absorption, distribution, metabolism and excretion studies that are critical to develop a toxicology profile of pharmaceutical compounds. Deuterated compounds are also finding uses as new drugs due to resistance of in vivo metabolic processes. The tools we develop can be broadly applied for hydrogen isotope labeling and involve collaborative efforts with scientists at Merck. The bond-forming processes are facilitated by the unique reactivity of phosphorus compounds and can be leveraged to introduce heavy isotopes such as 11C, 15N and 19F. Catalytic processes are fundamental to sustainable reaction development and also inspire new ways to activate molecules for bond-forming processes. Our laboratory is developing a number of new catalytic transformations that directly functionalize inert C–H bonds in heterocyclic compounds through a variety of different approaches. Light-driven processes are being used as an alternative for traditional cross-coupling reactions that typically involve late transition metals as catalysts. Additionally, new applications of organic molecules that have 'in-built frustration' target previously inaccessible transformations of pyridine and diazine heterocycles. Reactions that can form conjugates with biomolecules are becoming increasingly valuable as a means to develop new drugs and study biological systems. The nature of a cellular environment requires chemical reactions with different features than those used in typical synthetic laboratories; we are examining new ways to form bonds to specific residues in biomolecules such as enzymes and antibodies. 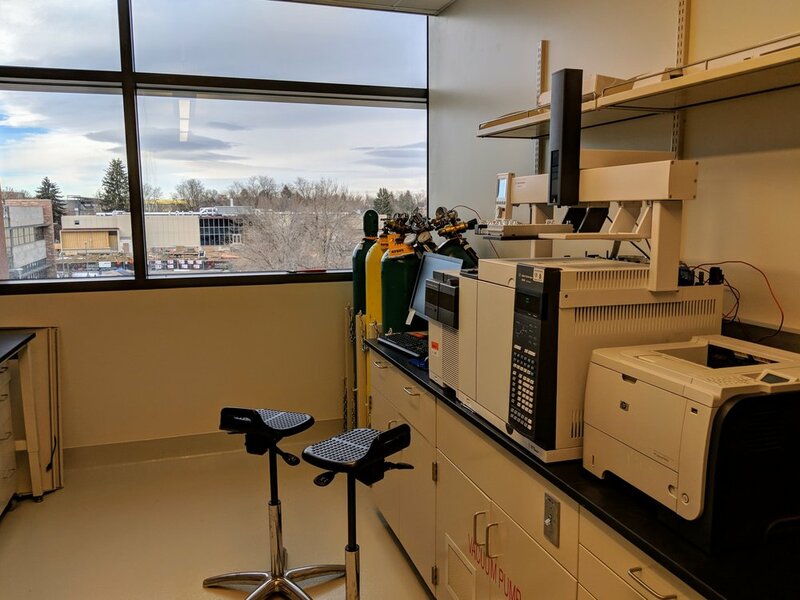 We are also actively collaborating with the McNaughton group at CSU to use the power of peptide display technologies as a tool for new reaction development.